Smooth and tasty on the rocks I really enjoy the vanilla flavour in this rum. On the rocks it becomes really smooth. 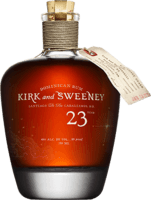 Reasonable price is a big advantage of this rum. Orange Fine, low and thick bottle. Strong smell. The orange flavour is outstanding. This rum is really smooth. I find this rum really good on the rocks. 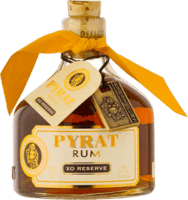 Quite enjoyable For this price this rum is quite enjoyable. A loads of vanilla flavor and a little touch of oak are perceptible. Quite good A loads of vanilla and caramel in the aroma and in the taste. With the ice the taste becomes quite smooth. Doesn't taste great It's not smooth and tastes not really good on the rocks. This rum is drinkable when it is mixed with cola but still it's nothing special. Barely drinkable Not much a flavour, very alcoholic. Bad even with cola. Really bad It tastes really bad. Drinking it straight up or on the rocks is horrible. Mixing it up with cola is a bad idea either.